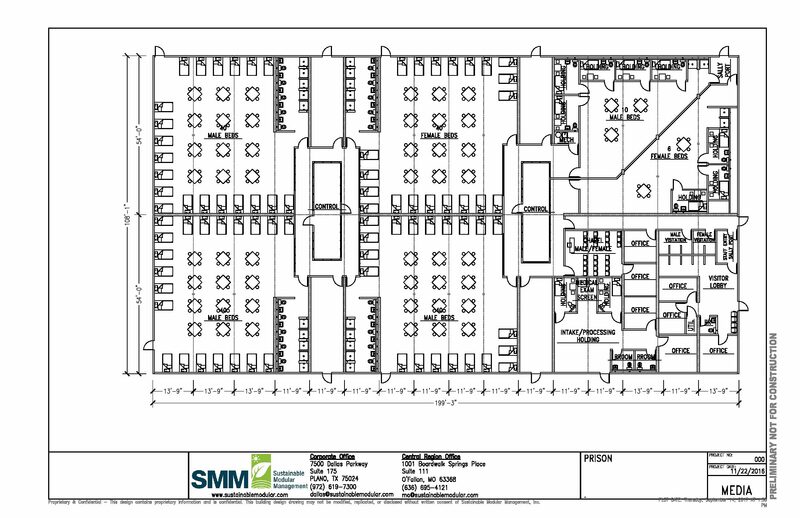 Detention Center | Sustainable Modular Management Inc.
202′ x 108′ Detention Center is comprised of sleeping, shower/restroom, medical services, offices, chapel and master control areas. Areas are designed to separate the women’s and men’s areas. Visitation areas, holding, and processing areas are also included. In order to allow for constant oversight, there is a complex design with diagonal walls and open viewing areas from the master control area.